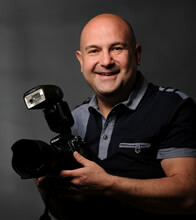 Our proprietor, Arif Gardner, is a qualified and highly experienced photographer and video producer based at AG Studios in St Albans, Hertfordshire. Both Arif and his team have perfected the art of blending a professional yet fun and relaxed approach to all forms of photography and video filming and production that ensures the very best results are captured. We pride ourselves on our creative and versatile style, working closely with you or your representatives to deliver high quality imagery and film production for any occasion. Over the last 27 years we have had the privilege of photographing and filming a wide range of important events from family portraits and weddings through to Prime Ministers, Presidents and celebrities. We are also proud to say that we can count some of the world’s largest brands amongst our regular clients covering their Corporate Events, PR Photography, Product Shots and Video Communication Productions. To see for yourself, we’d like to invite you have a browse through our site to view some of the amazing images and videos we have captured over the years.